Douglas Botting is a travel writer and biographer, formerly an explorer and documentary film maker. Whilst still an undergraduate at Oxford he led a scientific expedition to the island of Socotra in the Arabian Sea, which was the subject of his book Island of the Dragon's Blood. Over the decades that followed he travelled extensively on scientific and filming expeditions for Time-Life, BBC TV, the Royal Society, the Royal Geographical Society, and Geographical Magazine. To date he has written twenty-five books, published in twenty countries around the world. These include biographies of Alexander von Humboldt, Gavin Maxwell and Gerald Durrell. 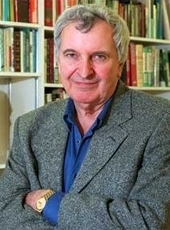 He has also co-written several studies of Nazi Germany with Ian Sayer.